In the spring of 2011, Ken and I took a bit of a pilgrimage to England. We followed Darwin's footsteps in Malvern, but that was only opportunistic, though happily so (and described here). 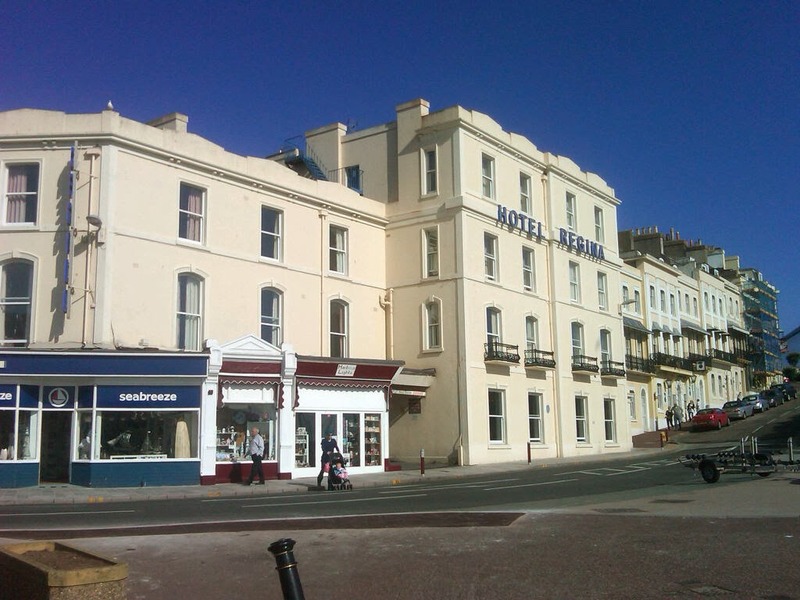 Our primary goal was to find several of the places that were important to the Victorian poet Elizabeth Barrett Browning when she was young. We blogged about it then, and it seems fitting to re-publish that post today because it's Rare Disease Day 2014, a day established by a number of rare disease alliances and organizations around the world to raise awareness of the impact of rare diseases on patients' lives. 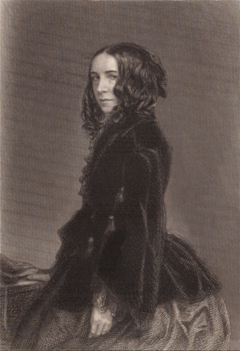 We think Elizabeth Barrett Browning had a rare disease, and it affected her life enormously. Born in 1806, Barrett Browning lived at Hope End in Malvern from age 3 to 25. Her father made his money by managing sugar plantations in Jamaica, and he had plenty of it. He built a very large house on a 200 or so acre estate near the Malvern Hills, and brought his growing family to live there in 1809. Eccentric this house was by all accounts, with Turkish minarets and other such out-of-place characteristics, but EBB loved it. As a child she rode her pony through the woods, and down the lanes that stretched to Ledbury and Great Malvern, and beyond. She and her beloved brother Edward spent many many happy hours running up and down the hills behind the house, until at age 12 or so her aunt scolded her for playing too rough. And so on. But, many others have read these same documents and none has reached the same diagnosis as mine. The explanation for this is easy -- HKPP is rare, and the diagnosis is frequently missed even today, but we've got the disorder in our family, so I read EBB's words through a lens not shared by most readers, that of knowing the nature of the disease, and the profound and disabling weakness it can cause. I should add that two neurologists and two cell biologists agree with my diagnosis. It's pretty obvious when you know what you're looking for. Tomorrow is Rare Disease Day 2014, an annual event intended to raise awareness of rare diseases and their impact on patients' lives. In recognition of this day, we wish each year to remind readers of the importance of investing in research on rare diseases. Rare diseases often strike early and hard, devastating lives that have yet just begun, with tragic consequences for the lives of those directly affected, and for the families who care for them. Common, later onset diseases and problems are serious and can also be devastating. They are worth understanding, but often they are common because they aren't due to severe or fatal gene mutations, and often aren't severe for years. They accumulate their underlying pathology gradually over years or decades, often if not typically due to lifestyle factors that can be avoided or exposures reduced -- delaying or preventing the disease from ever striking. But not so for devastating early onset diseases. Their rarity means that not nearly the same effort or funds are spent on them, even though in reality they may be more understandable than common diseases if the effort were spent. We have in the past suggested that in many ways there's no real advantage for healthy people to have their genome sequenced. Today we are reposting a piece from a year or so ago (reworked a bit) in which we suggest that it's a different story for people with rare, unexplained diseases. Rather than sequencing a genome for predictive reasons, which we believe will not often be all that useful, sequencing in the hopes of explaining a perplexing disease is another matter entirely. We often criticize the spending of taxpayer money on what we see as fruitless gene searches, but there are traits and diseases that truly are genetic, or, if associated genes aren't yet known, physiologically act as if they are. That means that the trait seems closely related to gene function in ways that could indicate that genetic variants are responsible for the variation of the trait from 'normal'. We think these are where the genetics money should be spent. Cancer is one example, though usually of late onset, because it is about a lineage of cells behaving abnormally for their context, that arises during live and thus is amenable to genetic approaches. Pediatric diseases and disorders are further examples, but there are certainly others. Finding causal genes even for what look like 'single-gene disorders' isn't always easy, and even when it can be done, certainly doesn't always lead to therapy. At the very least, when it is possible, it can be an important and valued piece in the puzzle of who one is. And we think this is where heavy-duty research investment should be made. 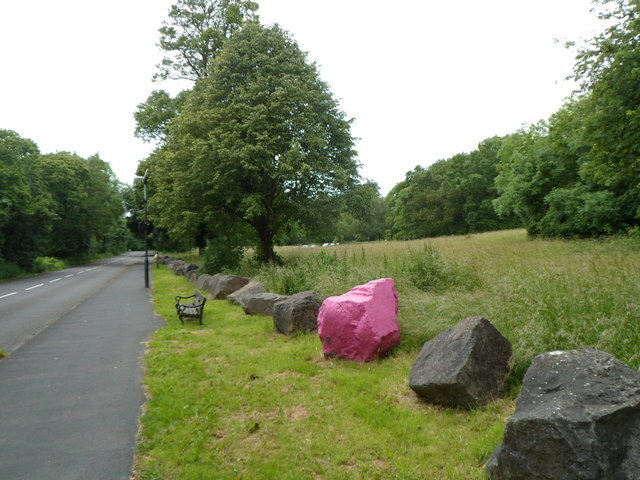 For no obvious reason, one of the boulders lining the north side of Shirehampton Road has been painted pink. By whom and why - unknown. The periodic paralyses are a rare set of ion channel disorders that are still not well-understood. Partly of course it's because they are so rare (prevalence is on the order of 1 in 100,000 to 200,000), and partly because the normal functioning of ion channels isn't itself well-understood. Channelopathies themselves are not rare -- epilepsy and cystic fibrosis are more well-known examples of ion channel dysfunction -- and now that ion channel-related diseases have been recognized, progress on understanding them is being made. There are various periodic paralyses (hypo and hyperkalemic pp, and Anderson Tawil syndrome), and they are often difficult to diagnose. Indeed, many people go for years without a diagnosis. Most physicians may have heard of them once, long ago but very often it's not a diagnosis that immediately comes to mind when faced with someone even with classic symptoms. Indeed, even now but especially in the past, people with these disorders could live a lifetime with neither diagnosis nor therapy -- an extensive bit of sleuthing has led us to think the famous pioneering Victorian poet, Elizabeth Barrett Browning, who was notoriously debilitated with a mysterious disease about which she wrote prolifically in her love letters to the poet (and her future husband) Robert Browning, had HKPP, as we surmised in detail here. The disorder wasn't recognized when she was alive, so it's no surprise that EBB's doctors were completely at a loss as to what was causing her perpetual weakness. We'll talk more about this tomorrow. It's more of a surprise when the diagnosis is missed today, as it needn't be; a computer search for diseases associated with abnormally low or high serum potassium should put a physician on the trail. But it too often is. As regular readers of MT know, we write a lot about complex diseases, and about how the idea of genes 'for' disease can be a naive one. For many traits, perhaps most traits, in organisms, multiple genes contribute and most of the genetic aspect of variation of the trait is due to multiple, small contributions from many different genes. Each individual with a given trait value (like, say blood pressure, height, glucose or cholesterol levels) has a unique genotype that contributes to that value (not to mention environmental contributors). The hope that it will be possible to identify simple causation is manifest, and understandable, even if the reality is different. That hope is what feeds the GWASification of everything, that is currently at such a fevered pitch. So, it is a bit ironic that we have a daughter with HKPP, a disorder that is generally considered to be a monogenic condition (caused by a single mutation). To date, causal mutations have been identified in three ion channel genes, but this doesn't explain the disease in all those who have it. Some of the known mutations disrupt the structure of the channel so that it malfunctions in response to specific environmental triggers. One is a sodium channel gene, and one is a calcium channel gene, which is interesting because calcium channels don't seem to even be used by skeletal muscles as sodium channels are, so it's difficult to understand why disrupted calcium channels can shut down these muscles, but it seems to be. Insulin is also related to the process, but the periodic paralyses don't seem to be related to diabetes. Is the trait due to a channel mutation, or mutations of more general sorts that affect the ion concentrations that normal channels respond to? It seems to be a mix. But it doesn't seem to be a hopeless polygenic sea of contributing variants, because the symptomatology is so specific and localized to specific tissue. Nonetheless, as we've blogged about before (here, e.g. ), even these 'simple' processes are complex. Many genes may be involved, at least among different cases, but it is not always the case that multiple minor contributions from different genes are required to add up to trouble. In some cases, and HKPP may be one, there is what is called multiple unilocus causation: In a given case, only one variant gene may be responsible, but in different cases different genes -- but only one gene per case. Some people can trace a specific form of periodic paralysis through generations in their family, and others are the only known family member to be affected. And, the same mutation in a single family can have very different symptoms, from very infrequent, or even no attacks of weakness, to waking daily with paralysis. And, essentially the same phenotype, or at least spectrum, is due in different individuals to mutations in different genes. Or different people with the same variant can have different symptoms. Other examples of similar multiple unilocus causation include retinitis pigmentosa, an inherited disease that leads to blindness in middle age, and another is congenital deafness. Some individuals, including our daughter, have none of the known mutations. We know this because a physician in Germany, Dr Frank Lehmann-Horns, generously donates genotyping and sequencing services to anyone who has been diagnosed with one of these disorders. Affected individuals naturally would very much like to know the cause of their disorder, however, and when the cost of whole genome sequencing really is $1000 per genome, they will likely have their genomes sequenced so that a systematic hunt for causation may be undertaken by interested researchers. Affected individuals don't need to know what causes their disorder in order to treat it, certainly, because it is the ion concentration that's the trait, regardless of its origin -- at least as is understood today. Indeed knowing the gene that causes a monogenic disease is rarely useful in treatment: hundreds of such 'Mendelian' traits are known but few really treatable based on the gene in question. But, patients often worry, and indeed it's often the case that some doctor won't believe their diagnosis unless they have an identified mutation, so the identification can be important for that reason. And, identifying as completely as possible the suite of mutations that cause this, and any multiple unilocus disorder could be useful in understanding how things go awry, and could in principle lead to better treatment. Of course, we study and write about aspects of genetic causation and generally see complexity when others yearn for simplicity, but there is the danger that when the story strikes close to home, we might naturally drift towards a search for simple causation -- making the very 'gene for' mistake we criticize when others do it. Still, while we do think that complex traits should not be treated as though they were simple, traits that really are relatively simple are a different matter. The search to understand the genetic basis of complex multilocus disease is challenging. The search to understand multiple unilocus traits, and to know whether they are only the clearest subset of multilocus versions in the population is somewhat different -- single gene changes might be easier to track and confirm when they are inherited. The unexplained cases, like unexplained heritability that we've written about, may be those due to multiple, individually minor, genetic variants. As we have often said, and said even before our daughter's diagnosis, the truly genetic disorders are where the money should go, at least to show that understanding causation at the gene level is an important way to approach life. Update: Our daughter outed us last year here on MT, noting in a comment to a post of Holly's that we'd all been enrolled in a sequencing study of rare Mendelian diseases. The study is ongoing, but our exomes have been completely sequenced now and are currently being analyzed, but nothing yet found. We certainly hope they identify the genetic basis of her disease, though it's probably a long shot. But it would mean a lot to her to know the cause of the disease that too often rules her life. In 1931 Kurt Godel shocked the mathematical world. Math is the ultimate sanctuary for those who believe that some ultimately Platonic sense there is absolute, universal, unexceptionable--and understandable truth. The facts of geometry and mathematics are cosmically true (the Pythagorean theorem, the sum of angles =180 degrees, etc., 2+2=4, and the fact that the derivative of x-squared is 2x, etc). The way we do math may be a human or cultural convention, but the facts are not. Our cultural convention of how we do it, or whatever it is, may for cultural or historical reasons simply overlook many equivalent truths, but it is working with at least some set of ultimate truths. But how is it that Pythagorean theorem is true about right triangles, but there are no actual, perfect right triangles in the world?? At least, at the turn of the 20th century, for those studying such ultimate truths, it was widely thought that the principles of logic and logical reasoning were essentially the same as the principles of mathematics. Not only were both equally true but logical reasoning could be expressed in the same kinds of terms as those of mathematics. This would make the world a certain place, in a sense. Truth is truth. Truth is internally consistent. And truth is discoverable! There were some problems. For example, what do we do with or about the notion of 'infinity'? Nineteenth century mathematicians, notably Cantor, showed that there are even different levels of infinity. The whole numbers are one level. You can match even numbers up one for one with odd numbers. But you can't match either up like that for the numbers between just 0 and 1. That's because there are far more of the latter: if we match 0, 1, and 2 with 0, 0.1, and 0.2 it might seem fine, but then how do we match up 0.001, 0.002, 0.00001, and so on? And then there is the little problem of what 'randomness' means. For example, I recently learned that the digits in the value of pi (relating radius to circumference in a circle) are randomly distributed. Take any sequence, like 7623116, and you'll find it, on average every 10 million 7-digit sequencs in pi. Or look at Stephan Wolfram's 'cellular automata'; these are simple rules for transitions in a string of (say) black or white boxes if each box produces a 'descendant' box and the rule says what color it is based on the array of colors in the current generation. The resulting black/white pattern, determined by a simple rule, is, Wolfram says, indistinguishable from random: no pattern can be found along the string at any given time. Yet 'random' seems such an obvious concept...until you think about them too much, and then they become quite disturbing. And I have not mentioned the very problematic notion of probability. We know how a cause can lead to an effect--well, we think we know that--but it is totally unclear how a cause can only lead to the future probabilistically. Usually, the probabilistic nature of such results is attributed to measurement error, poor theoretical understanding, and so on, in a cosmos that, were we to know everything, would be purely and rigidly law-like. But how could something cause something else 'with 27% probability'? If you think about it, it is not at all clear what that means, in terms of actual causation, beyond errors and sampling effects. And then there is 'chaos' theory. Even in a purely deterministic, rule-bound process of cause and effect, where there is no uncertainty or probability involved, unless you have 100% measurement accuracy of things at some given time, you cannot predict with any accuracy what things will be like over the future. Your predictive power, even with perfectly true theory, is zilch. But how can you know what the underlying reason is? Such things fly in the face of the views of the cosmos as a law-like place where certainty rules. We want a knowable universe. We spend our puny lives as scientists trying to understand it, and assuming it at least exists, even if it's hard to understand! To general chagrin, what mathematician Kurt Godel showed halfway through the last century, was that even if it were true that the mathematical realm was all-of-perfection, an unknown fraction of it was unknowable. That is, things that are true can't be proved and, worse, you could never know whether something you thought were true and were trying to prove it, was in reality untrue or just unprovably true. Given all of this, it is surprising that in so many cases what we have learned is that the universe may not be law-like in the way we'd thought, true probability may or may not exist, not all things can be shown to be true even if they are true, and (in quantum mechanics and relativitiy and gravity at least) there are phenomena that seem truly to be unlike any of the above concepts or, as physicists often say, just are not consistent with 'common sense'....even if they're true. Even physics and chemistry, not to mention biology and psychology or economics, are often swimming in uncertainty and claims of knowledge that, no matter how confidently asserted, simply don't hold up. These various incarnations of indeterminacy, like probability, can shake our faith in the idea of a knowable universe whose causal nature we can pin down tight. In ordinary sciences, and sometimes even in our daily lives, we don't know exactly how we should be viewing, much less approaching, causation. What we end up doing is designing studies or experiments that we know how to design, using methods we know how to use, and crossing our fingers. Whether we're being ostriches to our peril, or whether it doesn't matter and we should just carry on regardless, is unclear. To the young and thoughtful, these provide things to think about, both in the practical sense of actually moving the science forward more than a millimeter at a time.....and in terms of our ultimate hope to understand life as it really is, not just in a statistical analysis. We are in a media era. There have for centuries been the occasional public scientist, seeking attention and recognition, grandstanding to the public. Apparently Galen was like that in classic Roman times. Edison was that more recently. Scientists with their magical apparatus did public lectures and tours in Europe, making sparks and exciting demonstrations of vacuums and so on. Not that long ago, however, most scientists were as dull as a black-and-white photograph. Their journals were that way, too. No orchestrated press releases about their every tiny finding described as earth-shaking. Yesterday the New York Times had a feature on actor Alan Alda's attempt to teach scientists to get out of lecture mode and explain things better to the public. This sounds great, but in our time it probably would be better, far better, if professors stayed in their labs and lecture halls....and Alan Alda stayed in Hollywood. The reason is that these days going public for scientists doesn't mainly mean making sure that the great unwashed can understand the latest discoveries of science. Instead, it means honing the lobbying and PR skills that one can use to hype one's research and of course the vital need for more funds. This is too bad, and there is no obvious answer. One thing is that science journalists, and their jobs, have become largely shills for the same objectives: exaggerating, excited lobbying for whatever happens to come down the pike this news cycle. Science journalists often are not well trained, and/or don't have the time to actually understand the stories they do. But more importantly, to us, they are not doing their most important duty as journalists: they are not protecting the public against manipulation by power or insiders, which is the most important job of the Fourth Estate. We certainly need comprehensible explanations of what science is finding, so the public (the taxpayers) can see what they are getting, and can understand their world. But we also need skeptical treatment of claims, to show what the public is paying for but not getting. When entrenched interests, such as universities have become, are fervently lobbying to maintain their slice of the public pie, the journalists should be understanding enough of what the science is about to call us on our exaggerations, and pare us back unless or until we become more modest in our claims. These days, we need to be more modest in our expectations for support as well. Instead of always finding reasons to say our current result shows the desperate need for more, more, and even more, perhaps rewards should go to those who can take current findings and show how s/he can learn more, but with less or more modest resources. Of course, the physicists, having now claiming to have found the smallest of the small (the Higgs Boson), now desperately claim they need the biggest of the big: a 100 Km loop around Geneva, to do more and more expensive efforts to find less and less. It's a game, almost an entertainment game, these days. It's surprising that, actually, some real science does seem to get done. Medicalizing obesity: What is a 'disease', anyway? Last June the American Medical Association, along with a number of specialist medical groups, voted to consider obesity to be a 'disease', and released a policy statement explaining why, and what they propose to do to treat it. 3) causes harm or morbidity. The statement details the reasons that obesity meets this definition, and then provides a substantial list of recommended actions. It is worth nothing that the first, in a seven page list of recommendations, is that "Our AMA will: (1) urge physicians as well as managed care organizations and other third party payers to recognize obesity as a complex disorder involving appetite regulation and energy metabolism that is associated with a variety of comorbid conditions…" That is, in plain language: as a disease, obesity should be covered by insurance. Is this just a ploy for a big financial golden egg? One might be a lot more cynical about about this if the statement didn't include some recommendations for prevention; healthy school lunch and exercise programs, encouraging reduction in the price disparity between fresh and processed foods. They even include recommending healthy food at AMA meetings in their statement. We'd be even happier if nutrition science could tell us at all definitively what "healthy food" is. Even so, this strikes us primarily as the medicalization of obesity. The statement justifies this by saying that bariatric surgery, pharmacological approaches and lifestyle interventions can now help people to lose weight and thus reduce the consequences of obesity; type 2 diabetes, heart disease, stroke, breast cancer. If they are so successful, though, why does the same report include the prediction that 50% of the US population will be obese by 2040? Not overweight: obese. An editorial in yesterday's New York Times, 'Should Obesity Be a "Disease"? ', by Crystal Hoyt and Jeni Burnette, two psychologists, asks whether there are negative consequences to the AMA's decision. Does it make a difference psychological and/or medically if obese people consider themselves diseased? "Would it reduce or add to the burden of body-image concerns and shame? Would it empower people to fight back, or lead to a fatalistic acceptance of being overweight?" So, they did a study. Or, three online studies, of over 700 obese people. They assigned a news story about the AMA's decision to one group, a story about how obesity is not a disease to another group, and a public health message about weight loss to another group, and then asked them some questions. Ideally, we would have a public health message that leads to a decrease in self-blame and stigma while at the same time promoting adaptive self-regulation and weight loss — both equally important components of the fight against the obesity epidemic. We’ve yet to find an answer to this dilemma. Obesity is epidemic, meaning that relative weight (for height, say) has become increasingly prevalent in the population. Assuming this trend is a negative one, one might then fairly consider what its cause is and try to eliminate that cause. But after countless studies, there isn't a single reason, and if it were easy to lose weight and keep it off, it wouldn't be a problem, or a 'disease', or something that leads to disease. It could even be something good, as it provides people with some energy reserve if they do get a clear disease. Apparently, even stomach stapling is often not a long-term fix, and it certainly doesn't always change people's mindset about food. Losing weight is really hard, and keeping it off is even harder, so simply saying that the medical systems needs to promote self-regulation and weight loss is to recommend the impossible. It may be as resistant to simple correction or prevention as smoking cessation is. To give the AMA credit, they do give attention to the prevention side, where it needs to be. As Michael Pollan has written, the food industry produces more calories per day than people need to eat to maintain their weight. They have to get us to eat it somehow, and they are very good at that. And, sugar, salt and fat are very tasty, and often go together in high calorie, inexpensive processed foods. The food industry has very profitably figured out how to get us to eat what they sell, starting at a very early age. The medical system is now figuring out how to take its cut, by medicalizing obesity. No one has satisfactorily figured out how to get people thin again, once they've gotten obese, however. The cure is prevention. We know that exercise and eating in moderation keep people thin. But that message is drowned out by the easy availability of calorie dense foods. Changing that is going to take societal and cultural change. This brings up a broader question. What is an 'impairment' and what is 'normal', and who decides? The 3 characteristics of a disease definition that we listed above are themselves vague, perhaps hopelessly vague. What does 'some aspect' of the body actually mean? Since any and everything can have 'characteristic' signs or symptoms, and since 'normal' is not an obvious term, almost anything--say, a tendency to giggle, or to be ticklish--can fit the definition. Finally, causing 'harm' or 'morbidity' simply passes the buck on what that actually means. What this shows is that even defining 'disease' is subjective, changeable, and culture-specific. The criteria are in themselves of no actual use. They sound scientific and knowledgeable, and from the AMA one might think they are well considered and helpful. But they really just kick the can down the proverbial road to some other commissions of 'experts'. By now we should be long past asking whether 'obesity' is a trait, much less a disease. There does seem to be an issue in regard to obesity, and it does seem to go beyond fashion and style and cultural tastes. And there really are diseases that we have every right to be concerned about and try to prevent. But without useful definitions, and data to show that those definitions really mean something, the main people getting fat off of the definitions may be the research industry and people running nice hotels where, after a fine lunch, these definitions are endlessly discussed. The problem of 'emerging infectious diseases' (EID) is well-recognized in humans and other vertebrates but less so among invertebrates. Colony collapse disorder (CCD) is an ongoing and serious problem among honeybees that are used to pollinate food crops, but a new study published in Nature ("Disease associations between honeybees and bumblebees as a threat to wild pollinators", Fürst et al.) reports that whatever is killing managed pollinators is spreading to wild bumblebees and killing them too. Indeed, wild bumblebee populations are in decline around the world. Wild and managed bees already share some diseases, including deformed wing virus (DWV) and infestation with the fungal parasite Nosema ceranae. Varroa mites seem to be among the causes of CCD, but they are not being found in wild bees. Fürst et al. 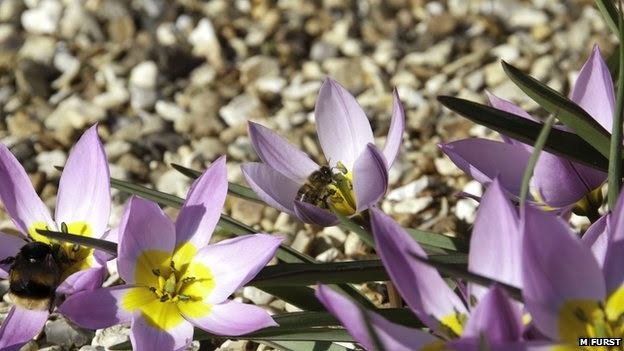 suggest that, as with vertebrates in which 'spillover' from domesticated animals to wild sympatric species, wild bees readily become infected with diseases that managed bees carry because they visit the same flowers. Whether wild bees are as vulnerable as honeybees have been to the causes of CCD is yet to be seen. Fürst et al. tested the infectivity of several diseases found in honeybees, DWV and Nosema ceranae, by inoculating bumblebees with the virus and infecting them with the fungus. They found that these infections are indeed devastating to bumblebees, infected wild bees had non-viable offspring and shorter lifespans than uninfected bees. They then surveyed bumblebees throughout the UK and found evidence of active infection by both mites and DWV, although currently at lower levels than among honeybees -- 11% of bumblebees and 35% of honeybees had DWV, and 7 and 11% respectively had the fungus. They further found that prevalence of these infections was not uniform among their sampled wild bees but that it was correlated with prevalence in nearby honeybees. They further tested the strain of infection among wild and managed bees and determined that they shared the same strains. While they couldn't confirm the direction of infection, they suggest that it's likely to be honeybees to bumblebees since prevalence of DWV and fungal infection is higher in honeybees. The global trade in honeybees and the worldwide prevalence of CCD mean, to Fürst et al., that beekeepers need ways to reduce infection rates in managed bees, both for the health of these bees as well as for the health of wild bees. But, as they point out, 'reducing the pathogen burden is not easy.' They suggest that beekeepers should learn from experience with infection control in vertebrates. Lessons learned from vertebrates highlight the need for increased pathogen control in managed bee species to maintain wild pollinators, as declines in native pollinators may be caused by interspecies pathogen transmission originating from managed pollinators. Dr David Aston, president of the British Beekeepers Association (BBKA), said: "By employing good husbandry practices, beekeepers can take steps to reduce the impact of pests and diseases on honeybee colonies using biotechnical controls and practices such as apiary hygiene, regular brood comb changes, ensuring the colonies are strong and well-nourished and the use of authorised treatments." In other words, good husbandry can reduce the disease load on managed bees, and thus on wild bees, and knowing specific causes of CCD isn't as important as simple hygiene. This may be true as far as it goes, but if pesticides and herbicides are part of what seems to be a complex chain of causation this problem can't be solved from hive to hive, but instead controlling use of toxic chemicals must be part of the solution. It's getting easier to document in detail the evolution of many traits, thanks to the quickly growing database of whole genome sequences from an increasing diversity of organisms. A friend and long-time colleague of ours at Penn State, Kazu Kawasaki, has long been interested in, and in fact a world leader in the genetics of animal biomineralization. He has done much painstaking, seminal work on understanding the evolution of the genetic architecture of this trait. The nature of the proteins involved requires particluar ways of finding and characterizing genes that are responsible. Mineralized tissue is a critical innovation in vertebrate evolution, offering the basis for various adaptive phenotypes: body armor for protection, teeth for predation, and endoskeleton for locomotion. Two distinct types of mineralized tissues emerged in Paleozoic agnathans [jawless fishes]: tooth-like oral skeleton and dermal skeleton. The dermal skeleton, which first appeared in the heterostracomorphs, consists of surface dentin and basal bone, which are occasionally overlaid by enameloid. Eventually, dermal skeleton developed into simple scales. Based on the histological similarity, these scales have been considered homologous to teeth. Teeth composed of all three tissues first appeared in [an immediate ancestor of] chondrichthyans [cartilaginous fishes]. Recently, the oral skeleton of conodonts [extinct jawless chordates resembling eels] was recognized as the earliest mineralized tissue in vertebrates and proposed to be the likely precursor of all teeth. However, there is no phylogenetic support for homology between the oral skeleton and teeth. The evolution of mineralized tissues has been enigmatic for more than a century. More than ten years ago, as a leading member of Ken's lab, Kazz discovered a gene family that he called the Secretory Calcium-binding Phosphoprotein (SCPP) genes. These genes encode proteins that regulate the calcium (Ca) phosphate concentration in the extracellular matrix. Calcium is involved in tooth enamel, bone mineralization, calcium content of milk, and indeed may have been centrally important in the evolution of vertebrates. The supersaturation of milk with Ca-phosphate was critical to mammalian divergence; the enamel made possible by SCPP genes led to mineralized teeth, which made active predation possible, and the mineralized skeleton, lactation and even saliva emerged early enough in the evolution of mammals to be the foundation of much of the subsequent evolution of the lineage because so many fundamentally adaptive structures are calcium-based. Gene families generally arise from gene duplication and the SCPP genes are no exception; a single gene or part of a gene duplicates by some DNA copying error during the production of egg or sperm cells, and the transmitted genome inherited by the individual's offspring contains the original and the duplicate copy. In the case of SCPP genes, the copy or copies are usually in tandem array with recent and more ancient duplicate genes or segments of the genes in one or two clusters on the chromosome. One copy is generally constrained by natural selection to maintain its original function, but the subsequent copy or copies are free to vary and contribute new function to the lineage. The new function may simply supplement the parental function, or some modified use may evolve. Indeed, adaptive evolution largely evolves via gene duplication, and genomes are largely comprised of families of genes related via ancestral duplication events. Kazz has been able to trace the evolution of SCPP genes in many vertebrate lineages, and has found that all SCPP genes originally arose from a gene called SPARC-Like 1 (SPARCL1), which originated earlier from SPARC. Both SPARC and SPARCL1 code for a calcium-binding protein that occupies a space between cells, called extracellular matrix. SCPP genes aren't always easy to find. Most related genes are identified because their DNA or protein sequences are close. But with SCPP genes it's not the DNA sequence, or the amino acid sequences that the DNA codes for that are important to mineralization, but instead their ability to bind calcium. Therefore, natural selection has conserved not the sequence, but the calcium-binding properties of each duplicate gene. This involves negatively charged amino acids, which associate with positively charged calcium ions, in the SCPP, but the function of the genes is less dependent on their particular order. Because of their highly biased amino acid composition, most parts of SCPPs do not adopt a rigid 3D structure comprising alpha-helix and beta-sheets. For this reason, these These are called 'disordered' proteins. Kazz has discovered that the gene structure itself is a clue to whether or not a novel gene belongs in the SCPP gene family. An important shared characteristic is the presence in the gene of a 'signal peptide' (that is, a short region at one end of the coded protein that enables the cell to transport the protein to a membranous structure called endoplasmic reticulum reticulum and then secrete it from the cell). Another important give-away aspect of SCPP genes is that their exons begin and end with whole codons; the resulting '0-phase' introns (the non-coding regions of the gene) do not interrupt a nucleotide triplet coding for an amino acid, but instead are between whole triplets -- this is a technical property, for readers not familiar with the field, but is an unusual characteristic of genes if all introns are phase-0, and a major way in which SCPP genes can be found in a newly obtained species' DNA sequence. Kazz has patiently identified and then used these facts to find and understand the evolution of SCPP genes in many different vertebrate species. Another clue is the proximity of potential SCPP genes to one another. Except for unusual instances such as amelogenin, an enamel-protein gene located alone on the X chromosome (and the Y), the SCPP genes in most species are in two clusters near to each other on a single chromosome, reflecting their origin via fairly recent gene duplication events, happening differently in different vertebrate lineages. One cluster of SCPP genes codes for acidic proteins and the other for proline- and glutamine-rich (P/Q-rich) proteins. Acidic SCPP genes are crucial to ossification of the collagenous scaffolding that becomes bone, and dentine in teeth. P/Q-rich SCPP genes are central in the production of enamel, saliva, tears and milk. This is a rather dense description for anyone, especially non-specialists, but it's important because it is an understanding of these genes and their sequence characteristic and genome organization that allows them to be related to major steps in vertebrate evolution (including primates and ourselves). When did various important structures, like external protective scales, teeth, internal supporting bones, and even the properties of milk come about? And what about birds, who have no teeth, but that do need to make eggshells? And other descendants of earlier vertebrates? SCPP genes can help tell these stories. A recent paper published in Nature ("Elephant shark genome provides unique insights into gnathostome evolution", Venkatesh et al.) reported on what the odd-looking elephant shark genome can tell us about the evolution of gnathostomes (jawed vertebrates). The emergence of gnathostomes was a major innovation in the evolution of vertebrates, and brought important traits including hinged jaws, paired fins and the adaptive immune system. Gnathostomes diverged into two major groups during their evolution, bony vertebrates and cartilaginous fishes. The latter are fish with skeletons made of cartilage rather than hard bone; sharks, rays and chimaeras. Kazz has traced SCPP genes through bony vertebrates but whether sharks have SCPP genes has been a question that he has long wanted to answer, so the publication of the elephant shark genome was of great interest. Elephant sharks (chimaeras) are a small cartilaginous fish that live in Australia. Its genome is about 1/3 the size of the human genome, and it was proposed as a good representative model of cartilaginous fishes, the oldest living group of jawed vertebrates. The authors of the paper were interested in the genetic basis of bone formation, knowing that SCPP genes are the foundation of mineralization in subsequent vertebrate lineages. They report finding SPARC and SPARCL1 in the elephant shark but that they were unable to identify any SCPP gene clusters where expected. They conclude that SCPP genes did not arise until after the emergence of bony fish, and propose that the absence of SCPP genes explains the absence of endochondral bones (bones developing through a cartilage precursor, as our long bones) from cartilaginous fishes. With his inordinate patience and an incredibly meticulous talent for detail, Kazz has searched for SCPP genes in the elephant shark genome as well, but is yet to find any, even taking into account that, as we described above, it is the genes' structure, not specific sequence details, that is crucial to finding them. After this so-far fruitless search, Kazz still thinks that more research is necessary to confirm the conclusions of Venkatesh et al. As he says, bone originated in ancient jawless fish, which developed extensive exoskeleton (dermal bone), and extensive dermal bone was also found in the common ancestor of bony vertebrates and cartilaginous fish. Therefore, the lack of bone in the modern cartilaginous fishes is a secondary condition; they lost bone during evolution. In fact, the bodies of sharks and rays haves innumerable small scales, called dermal denticles because of their morphological and histological similarities to teeth, whereas, in the elephant shark and other chimaeras, scales grow in very limited locations. The elephant shark is therefore highly derived from their ancestral state in terms of mineralized skeletal elements. In the paper, the authors tested their hypothesis that SCPP genes are important for endochondral bone formation by reducing the activity of one SCPP gene, called osteopontin, in zebrafish. The result indicated an essential role of osteopontin in normal bone growth. However, this experiment showed that osteopontin is important for the growth of both endochondral bone and dermal bone, which is consistent with the fact that the human osteopontin gene is expressed in both endochondral bone and dermal bone. Thus, this experiment does not appear to support their hypothesis that the absence of osteopontin explains the absence of endochondral bone. Instead, it is possible that osteopontin could have originated before the origin of endochondral bone and that this gene was subsequently lost in the elephant shark, and possibly other cartilaginous fish, as they lost the entire bone. Not finding a particular gene in the elephant shark does not necessarily mean that this gene is absent in the genome. 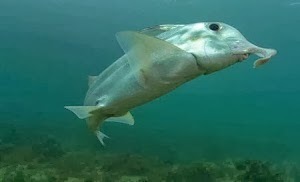 Furthermore, we only know the genome sequence of elephant shark, a species of chimaera. Kazz believes that we will learn more about the evolution of tissue mineralization from the genome of other cartilaginous fishes, and he is continuing to do this work. Reconstructing important aspects of our evolution can be very challenging, and require more than superficial or quick scans of genomes. But the reward for doing that is to find how evolution has taken advantage of available genes as new structures arise, or when a given structure or mechanism is no longer needed for whatever reason, has lost related genes that it no longer uses. We have reported that all SCPP genes are derived from the last common ancestor, the SPARC-like 1 gene (SPARCL1). SPARCL1 consists of 10 protein coding exons (figure). Among these exons, the most upstream exon mostly encodes the signal peptide (yellow in figure), and the following three exons (blue in figure) code for a large and highly acidic (negatively charged) amino acid sequence, comprising many glutamic acids, aspartic acids, and phosphorylated serine residues. Similar protein coding exons are found in SCPP genes that are strongly expressed in bone and/or dentin, although the number of exons coding for the acidic sequence may be different. It is thought that such highly acidic sequences are essential for these proteins to associate with a large number of calcium ions (positively charged). 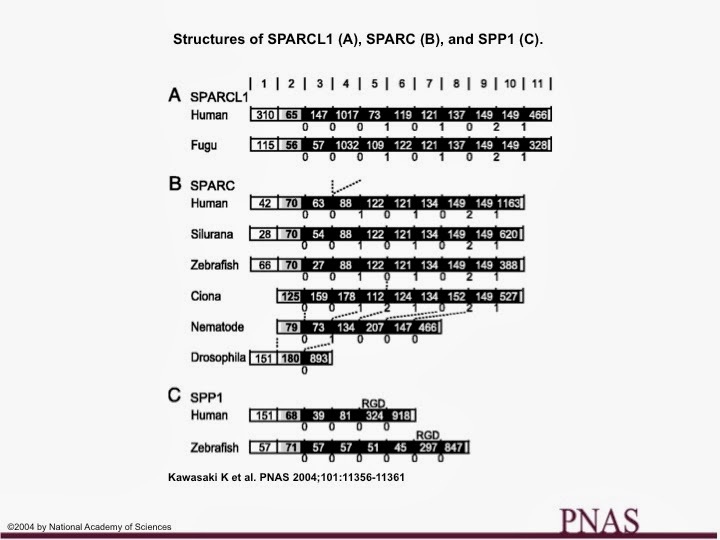 In fact, SPARCL1 also has an evolutionary precursor, called SPARC. These two genes are similar to each other but are different in the size of the acidic region (figure). SPARCL1 has a huge exon that code for most of the acidic region, whereas SPARC has only two small exons for the acidic region. It follows that SPARCL1 presumably obtained the huge additional exon, which resulted in a larger calcium-binding capacity of the encoded protein. Based on these observations, we proposed that the enlarged acidic region arose in SPARCL1 was inherited to acidic SCPP genes. In both SPARC and SPARCL1, introns within acidic-region coding exons (blue exons in figure) are all phase 0 (so exons 3 and 4 in SPARCL1 and exon 3 in SPARC are phase 0-0 exons). It is likely that the phase 0-0 exon was one important factor that facilitated enlargement of the acidic region. Obviously, duplication of these exons can enlarge the acidic region. However, duplication of exons may result in frameshift. After duplication, the original highly acidic sequence (and downstream sequence) can be maintained only when this sequence is coded by phase 0-0, phase 1-1, or phase 2-2 eons. It is astonishing to find that some SCPP gene with a large number of exons have all phase-0 introns. For example, mouse casein 1s1 gene (casein genes belong to the SCPP gene family) consists of 31 protein coding exons, and all these exons are flanked by phase 0 introns. However, most of these exons are probably derived from only a single phase-0-0 exon of ancient SPARC (arrow head in figure). Reference: Genetic basis for the evolution of vertebrate mineralized tissue. Kawasaki, K., Suzuki, T., and Weiss, K. M. 2004 Proc. Natl. Acad. Sci. USA. 101: 11356-11361.